When you’re waiting at the gate and the adrenalin is pumping, you probably won’t be thinking about the scratch-resistant Lexan® lens that gives you a wide-open view of the track. Or the triple-layer face foam that wicks away your sweat. 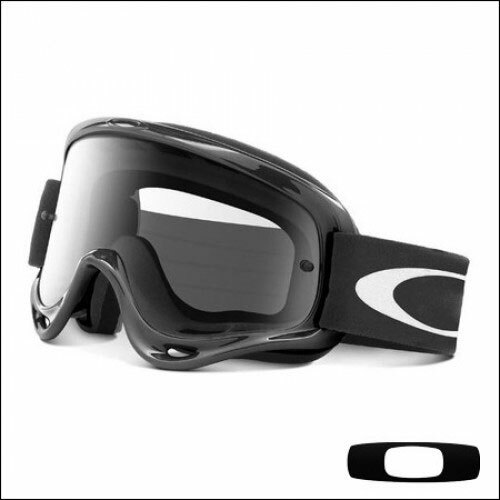 Or the competition ready design that includes a non-slip silicone treated strap and a mounting interface for Oakley laminated tearoffs, the most advanced tearoff system on the planet (sold separately). But there is one thing you should keep in mind: The most famous rider in history has worn the MX O Frame® in every title chase. And Ricky Carmichael didn’t earn his rep by compromising on performance. These goggles are compatible with Attack Mask nose guard. Flexibility even in extreme cold via urethane frame construction. Glare reduction and tuned light transmission of Iridium® lens coating (optional). Comfortable and secure fit of wide, adjustable elastic strap. Minimized reflective glare via interior surface texturing. Convenience of 2-pin attachment system for tear-offs. Comfort and fit of triple-layer face foam. Scratch resistance and optical clarity of Lexan® lens material. Secure and stable fit via silicon lining on inside of strap. Meets ANSI Z87.1 for high velocity impact. Meets EN 1938 for MX goggle requirements.